We are an experienced local moving company located in Brandon Fl and will pick up inside your home, storage facility or other location. Local Haul carefully prepares your items for delivery to or from your desired locations. Local Haul performs local moves in and around Brandon and can help with a delivery from any store. TV’s sofas, futons and exercise equipment are just a few of the items we help move or deliver. Don’t have a truck or trailer? Local Haul in Brandon has moving trucks and delivery trailers for light local moving and delivery in and surrounding the Brandon Fl area. Our rates are the best around. Most companies charge a trip charge added on to your bill at the end of your move. Our local moving prices are right up front. PACKING SERVICE AVAILABLE, OFFICE MOVING TOO. If your moving across town, locally moving, or just need furniture appliances or anything large in your home moved, then Local Haul is the moving company for you. We offer moving in the evening and on weekends. 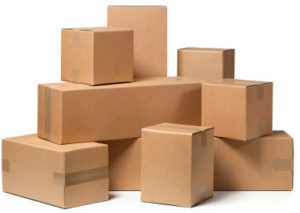 Most small moving companies only provide their moving service during business hours Monday through Friday. We understand that you can’t always move during those times. nursing homes and elderly facilities that require a moving service. Local Haul will re-arrange furniture for houses and apartments. Have something too heavy to lift? Let Local Haul move your items for you. Give us a call. Local Haul has hundreds of moving references and over 15 years of service in Brandon Florida area and some of the lowest rates around! Office or business relocation? We already handle several nationwide accounts. Getting something moved or delivered does not have to be frustrating. Let us take the frustration out of moving. Why pay costly rental fees and still have to do all the work? Let Local Haul move or deliver it for you.